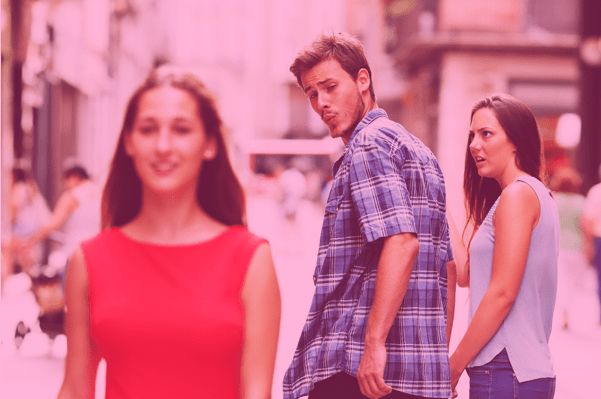 Relationships are never as black and white as we think, whether it’s our own or our friends or even the celebs we see plastered across our television screens, we always think we know best – especially when it comes to infidelity. Let’s look at one of the more prominent stories of suspected infidelity in the media over the last few months. You’ll have no doubt seen or heard that a Mr Wayne Rooney was caught driving under the influence of alcohol but the twist in the tale is that he had a passenger in the car who wasn’t his wife – instead a young blonde woman who suggested that there may have been more to their journey than a simple lift home. Naturally, it quickly made the headlines and there were rumours that his wife Colleen was considering a divorce as a result of finding out about what her husband was up to, however it now seems that’s all dust under the carpet. Some of us would hear this and think “is she crazy?” whereas others would say “good on her for trying to fix her marriage” but what’s really the right thing to do in this situation? Even with cold, hard evidence that you’ve been a victim of infidelity in a relationship, where is the breaking point or where should it be? There are no rules as to what you should do if you have or you are being cheated on but conventional wisdom suggests that if your partner is unfaithful, you should leave with your held high with no second chances or hope of reconciliation on the table. Why? Because trust is like a glass. It’s delicate and if it’s broken, although it can be fixed, it’ll never really be the same it once was. With this in mind, I couldn’t help but wonder, why would you stay with your cheating man? Well for starters, stability. Some people consider their circumstances to be of the utmost importance, perhaps even above a faithful relationship. Sometimes, cash might be too much of an incentive for women to leave their cheating fellas, or even the family routine that some of us women have become so accustomed to, the thought of that all changing and affecting children and living is too much to bear and a bit of broken trust might be a small sacrifice the make in the grand scheme of things for a stable lifestyle. In a lot of cases, women are sometimes just insecure, and dreadfully so, perhaps even blaming themselves for the reasons their partner may have strayed and therefore maybe even making peace with the fact that it’s actually their fault, not his. Newsflash – this is NOT the reason he cheated and certainly not a reason you SHOULD stay. However, probably the simplest and most uncomplicated reason that us women might salvage and stay in a relationship if we’ve been cheated on is just down to the fact that we’re still in love, and who can blame us? As much as we’d like it to be, love isn’t a switch you can just turn on and off at any given moment. So even if and when you find out that your man’s been playing away, you can’t just disregard your feelings and blind faith reassures you that is was a mistake, or a one-off, or that it won’t happen again. Your rose-tinted glasses keep your breaking heart positively beating in the face of adversity and the harsh reality is that if this guy loved you like you loved him – would he really have strayed in the first place? I’m guessing – nay, telling you – not. In 99% of cases anyway, we can’t tar everyone with the same brush. When it comes to infidelity, you’ve got to be both logical and selfish. Can this problem be resolved or is it too far gone? Next Post What Is Stealthing? So helpful and important. It is a must read. Thanks for sharing.